PADSTOW'S most famous kitchens have a starring role in a surprise bestseller which has stormed to the top of the online cookbook charts. Rick Stein's restaurant and café feature in a new book by a journalist who jacks in the day job to try to make it as a chef. 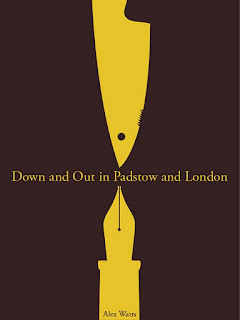 His experiences, which ended in failure, led Alex Watts to write Down And Out In Padstow And London. The humorous account recounts the years he spent training to be a chef, including stints at Heston Blumenthal's famous Fat Duck restaurant and Rick Stein's establishments in Cornwall. The eBook version has become an overnight success, sparking dozens of good reviews on Twitter. It is also the bestselling eBook in Amazon's professional cooking chart and is in the Top 40 of the Amazon Kindle Store's food and drink bestseller chart, above the likes of Delia Smith and Nigella Lawson. 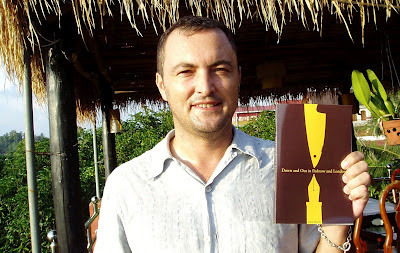 Alex, 41, a journalist and sometime cook from Burnham in Buckinghamshire, said: "I've been really pleased with the success, especially as it's self-published and I've just had to rely on word of mouth. "But it is ironic that a book detailing my disastrous attempt to train as a professional chef is now top of the Kindle professional cooking chart. There's a section on my failed audition for Masterchef, which I think helped a lot because so many people watched the last show." The paperback version of the book came out on Amazon last month, but Alex hadn't even seen a copy until his father Brian, 73, flew out to Cambodia, where Alex is writing his second book, based on a cook's tour of South East Asia. 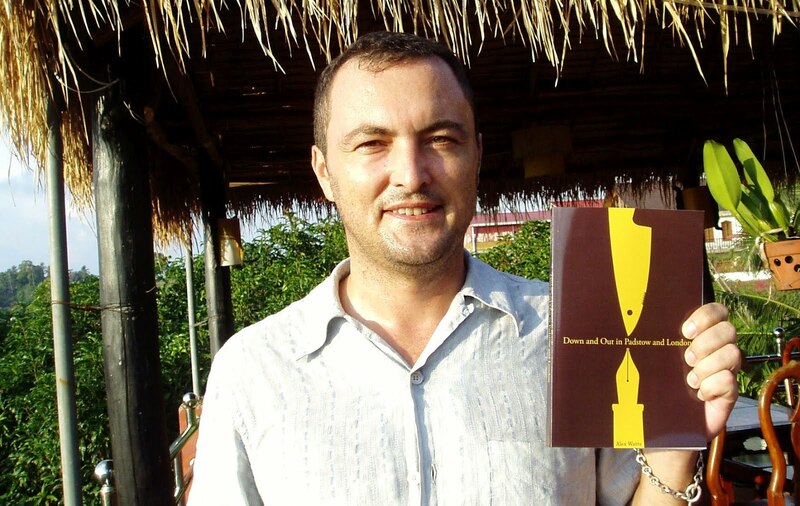 "When dad arrived in Phnom Penh with a couple of copies, it was a very strange and proud moment to see it finally in print," said Alex. "I've been really pleased with the sales of the Kindle book, so hopefully the printed version may do as well. "It's definitely a book aimed at armchair chefs and foodies who'd love to learn the trade first-hand from the professionals, braving the stress, 16-hour days, and low pay of kitchen life, but are far too sensible to do so ... ."
The book describes what really happens behind the scenes of both Michelin-starred restaurants and lesser establishments – and the extraordinary, larger-than-life characters who inhabit them. It begins with Alex's decision to give up his job as a journalist, and a fateful meeting with TV cook Rick Stein, when the cheffing door is opened. There follow stints in the kitchens at Padstow, work as a commis chef under a crazed former football hooligan, 16-hour shifts as a kitchen slave in a gastropub, and the rigours of the Fat Duck. Unable to keep up with the younger chefs around him, he gives up the dream and returns to office life, only to find he can't forget about the experience and puts pen to paper. There are also 12 reviews on its Amazon page.